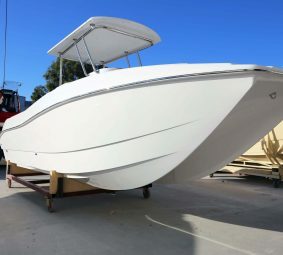 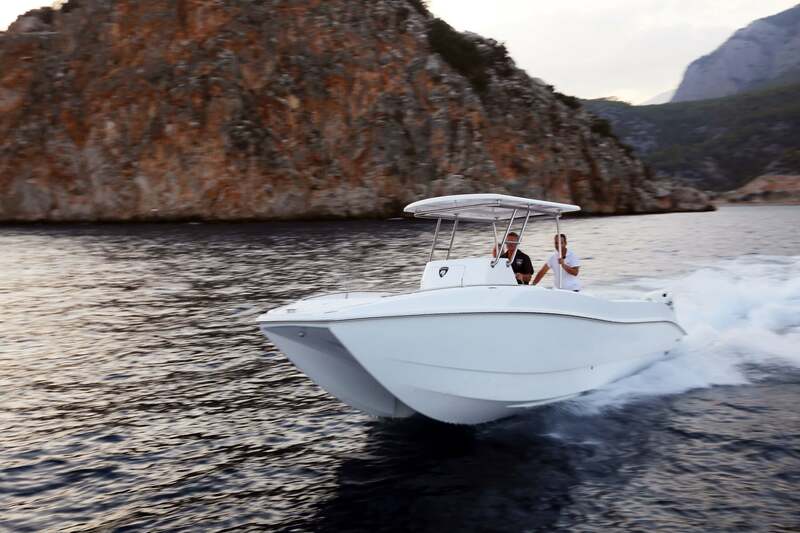 The new 25-foot Hysucat Center Console Sport Fisher is a stunning saltwater sport fishing boat, but simply a masterpiece in its category. 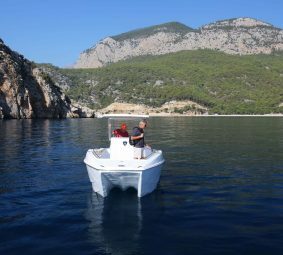 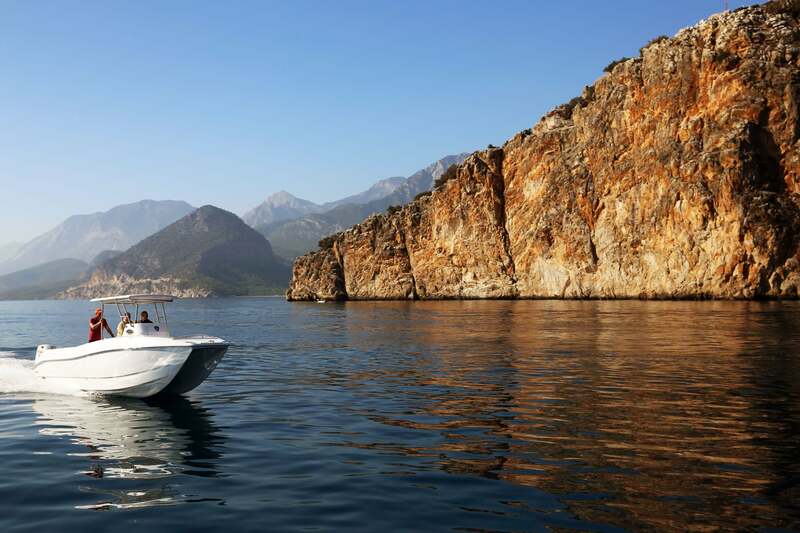 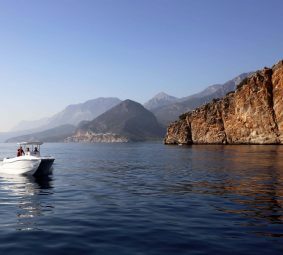 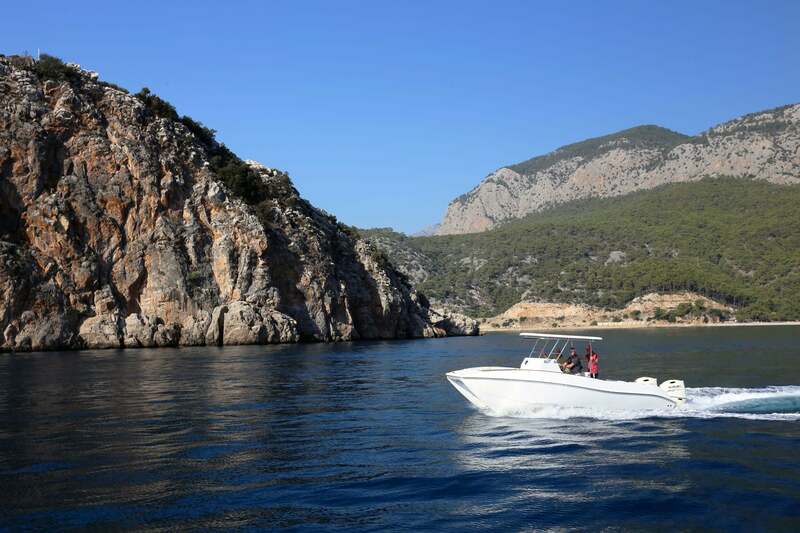 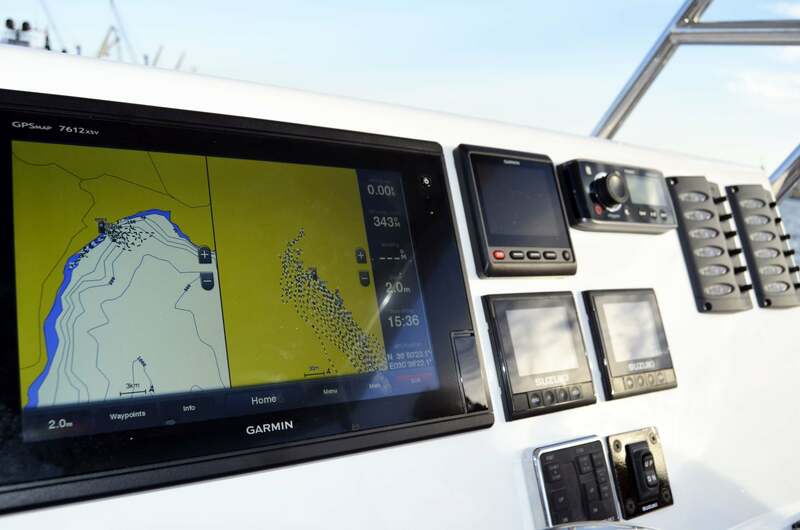 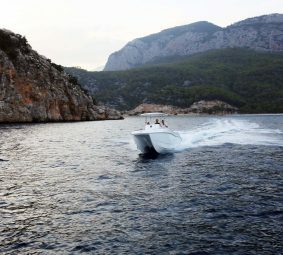 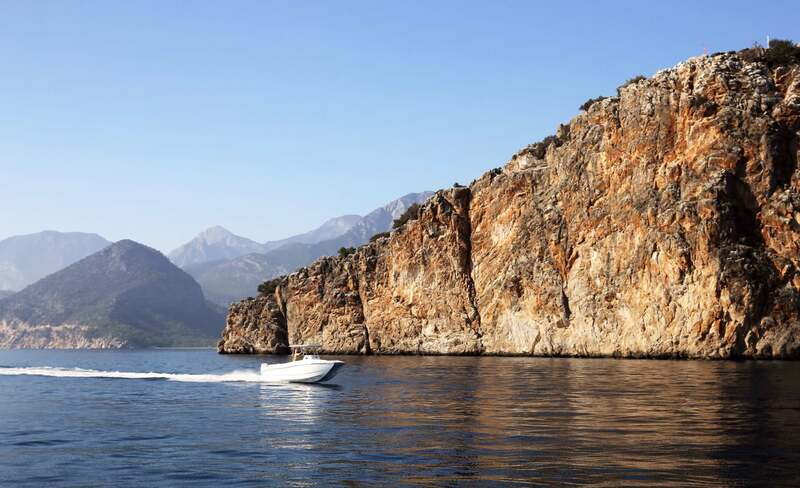 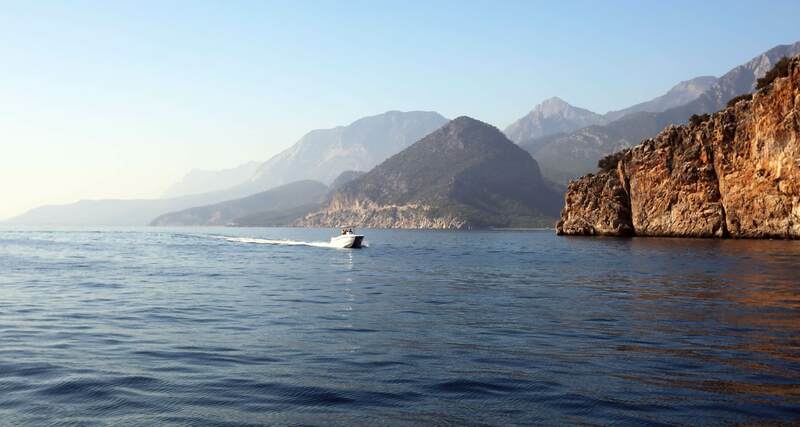 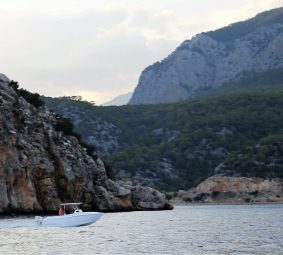 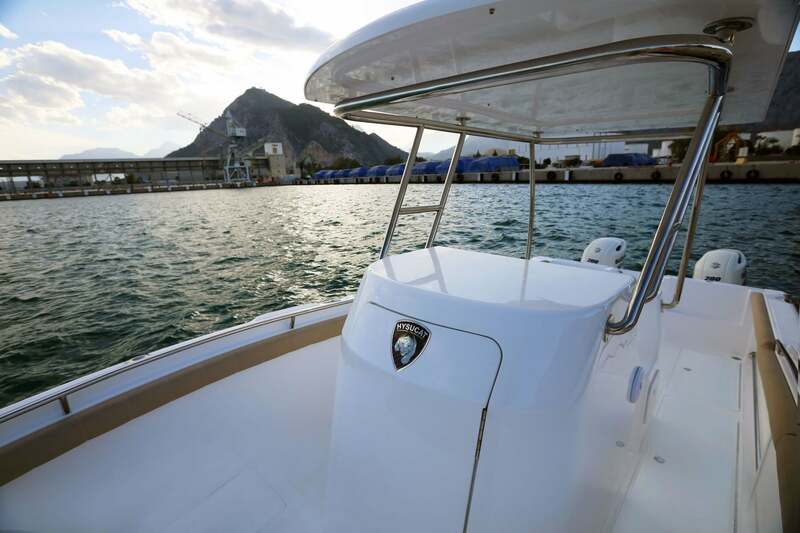 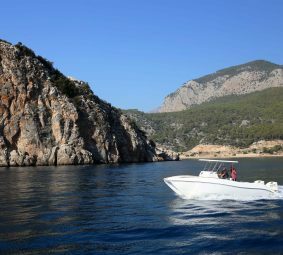 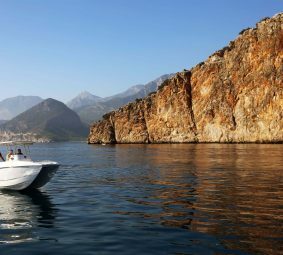 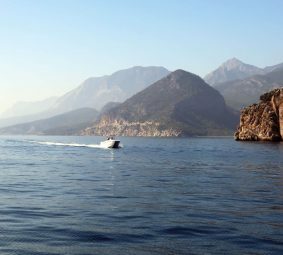 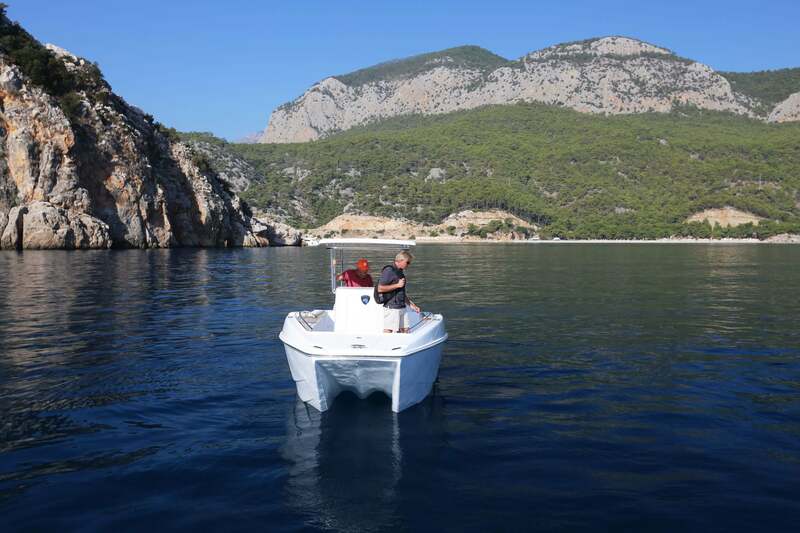 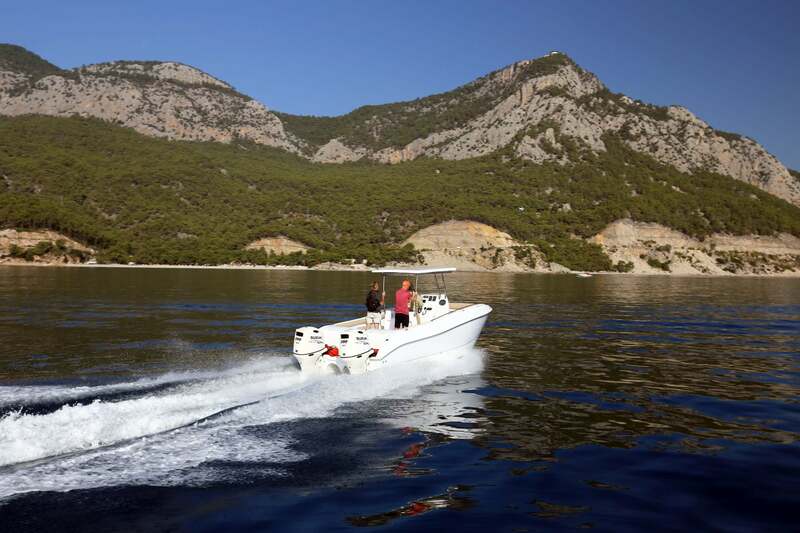 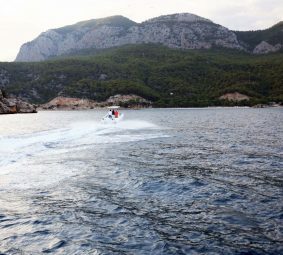 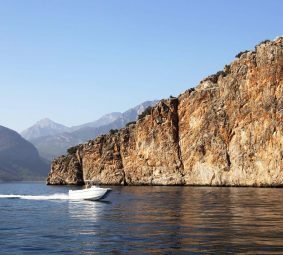 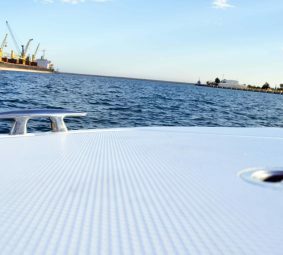 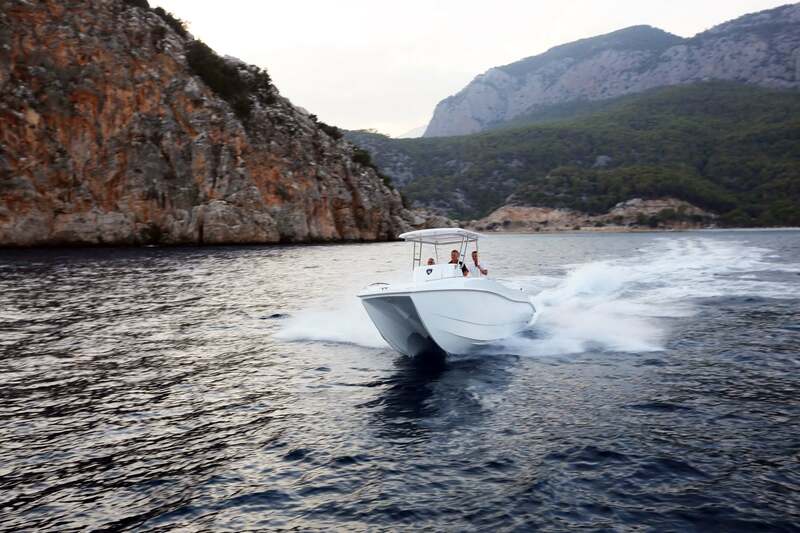 She offers the best features of a monohull and a catamaran combined yet made superior thanks to innovative hydrofoil technology. 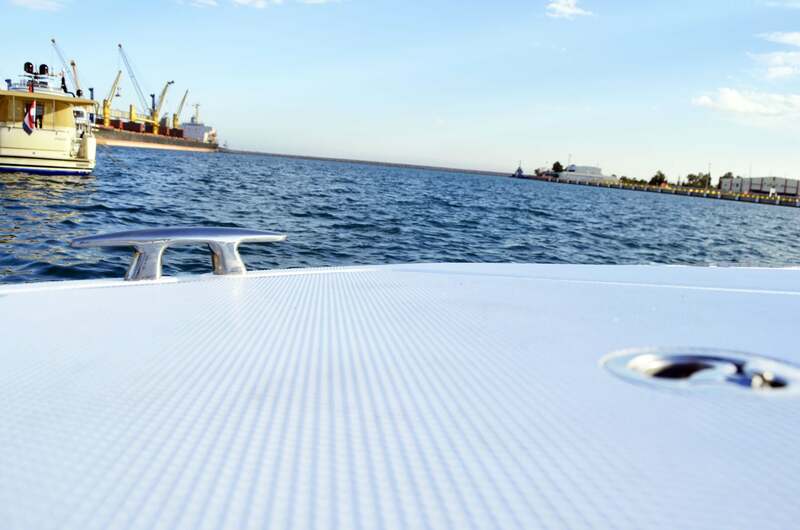 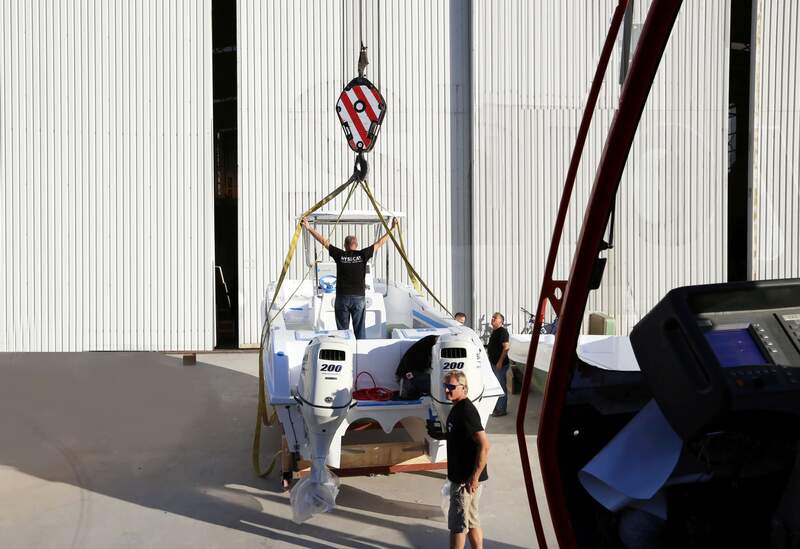 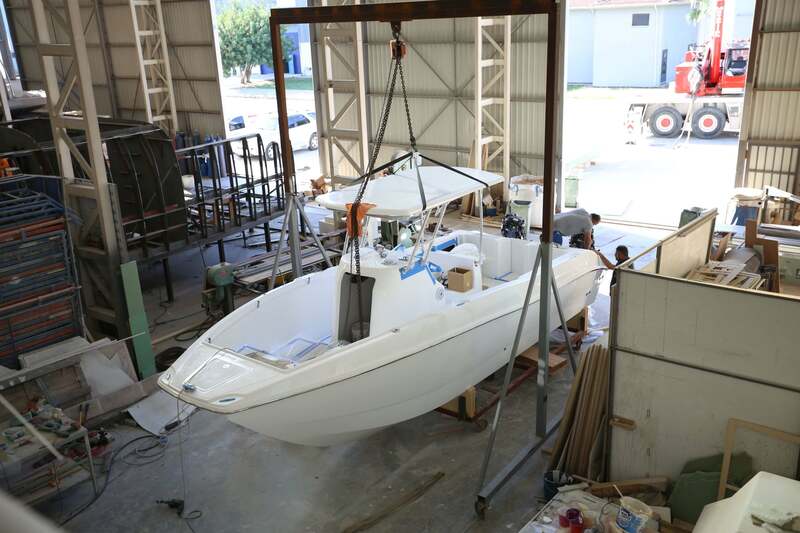 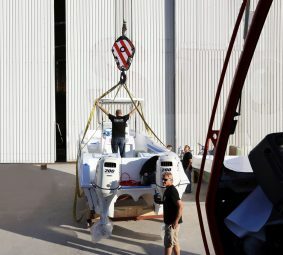 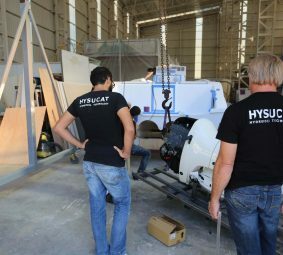 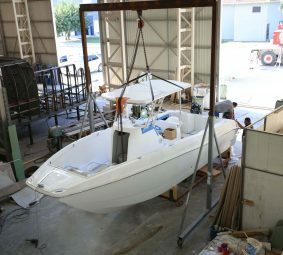 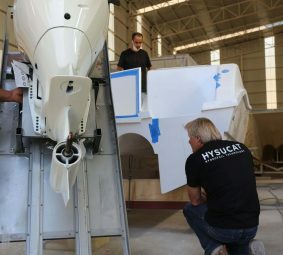 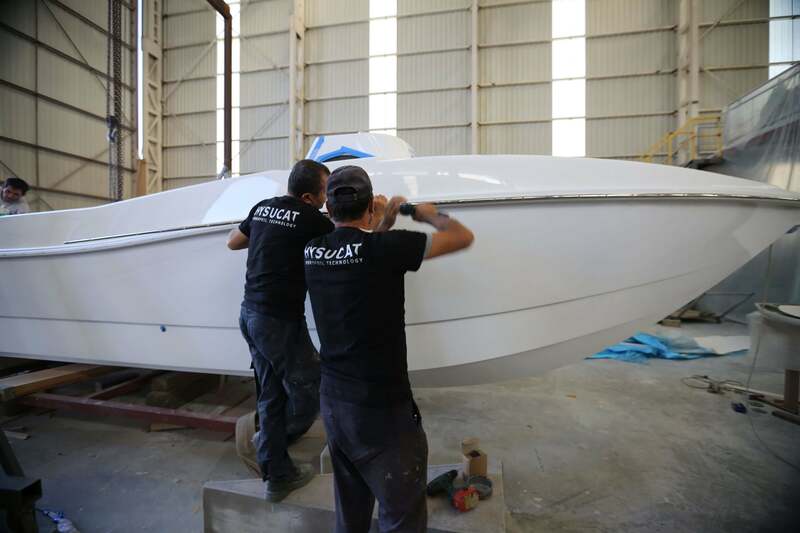 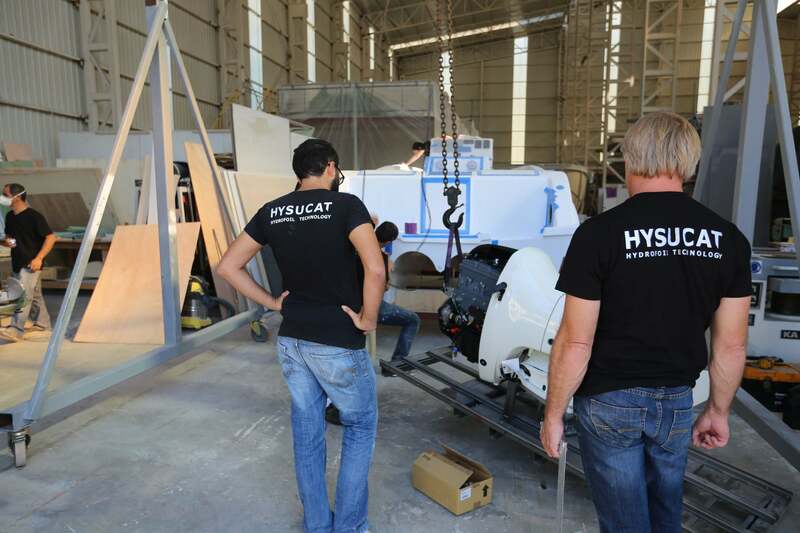 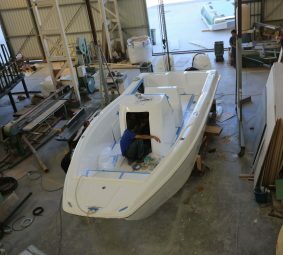 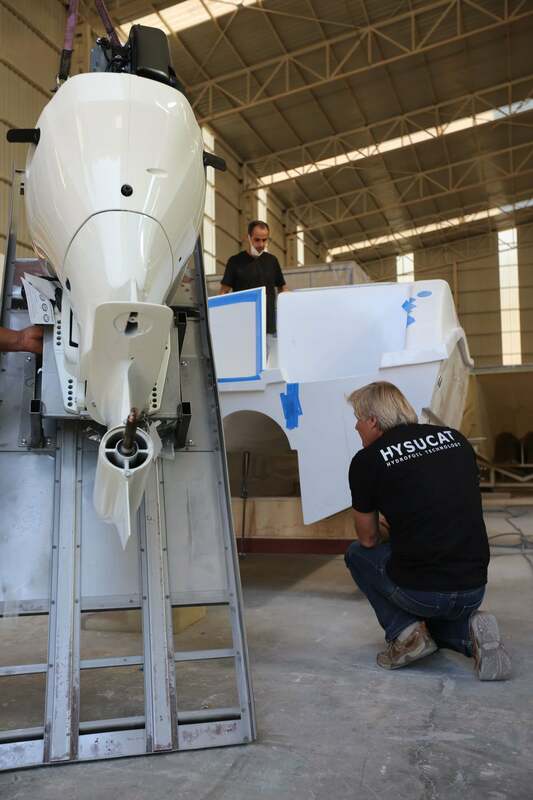 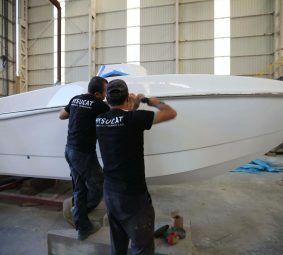 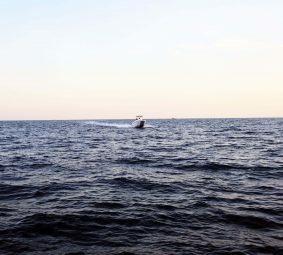 Designed by renowned hydrofoil specialist Malan Conradi, the Hysucat patented, high-performance asymmetric catamaran is capable of delivering higher speed with less horsepower, a soft, comfortable, stable ride in waves or swells, and efficient, reduced fuel consumption. 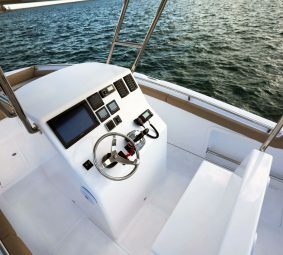 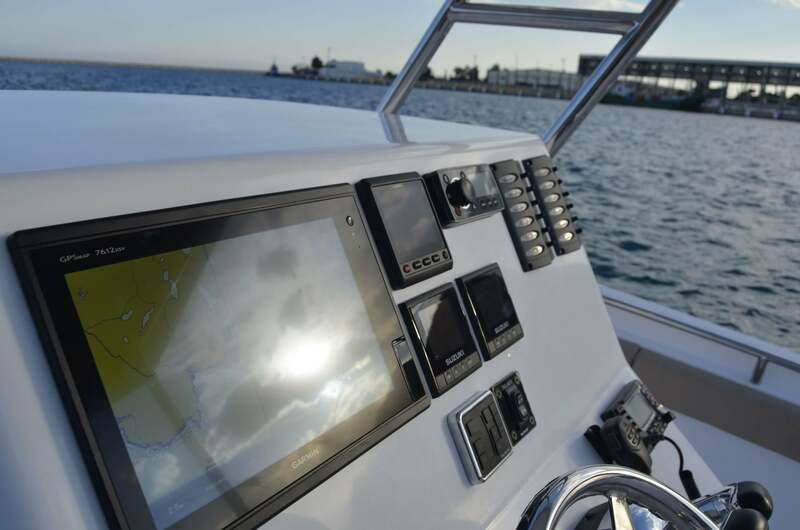 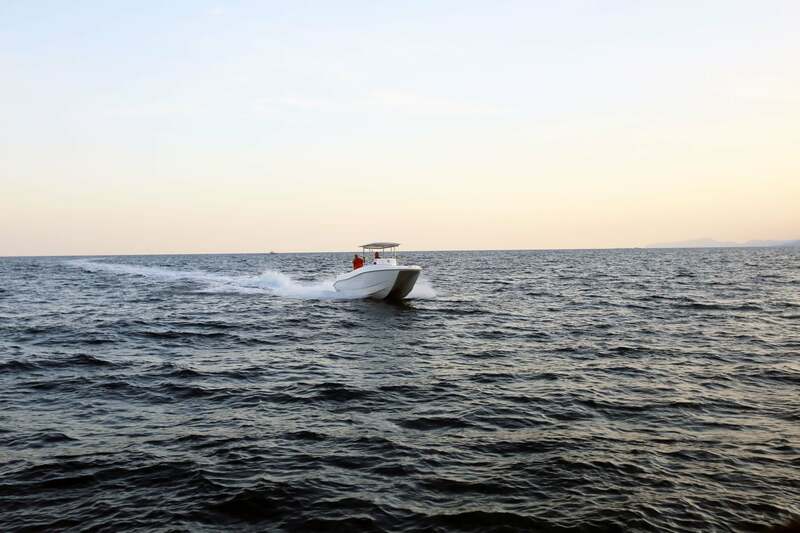 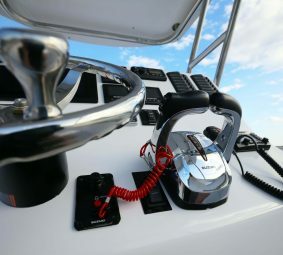 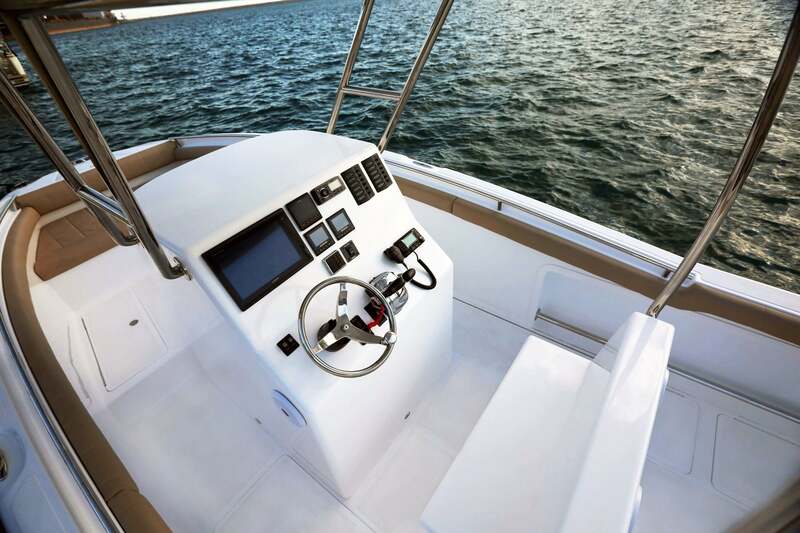 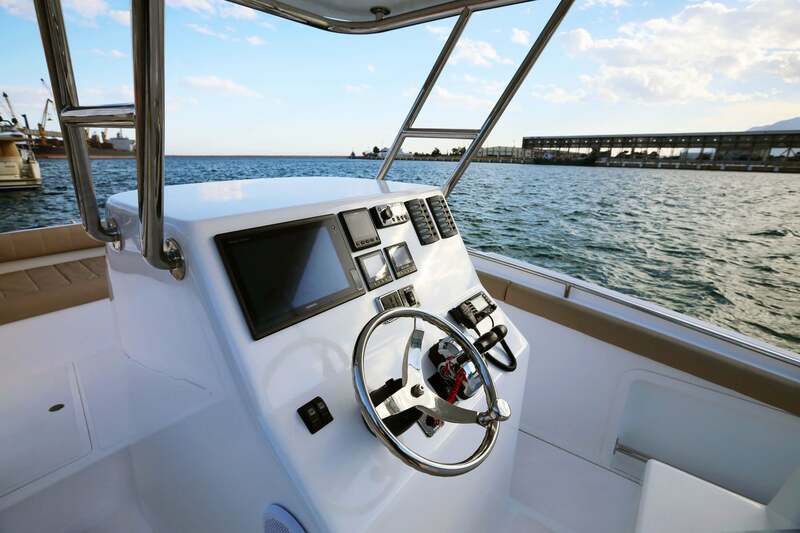 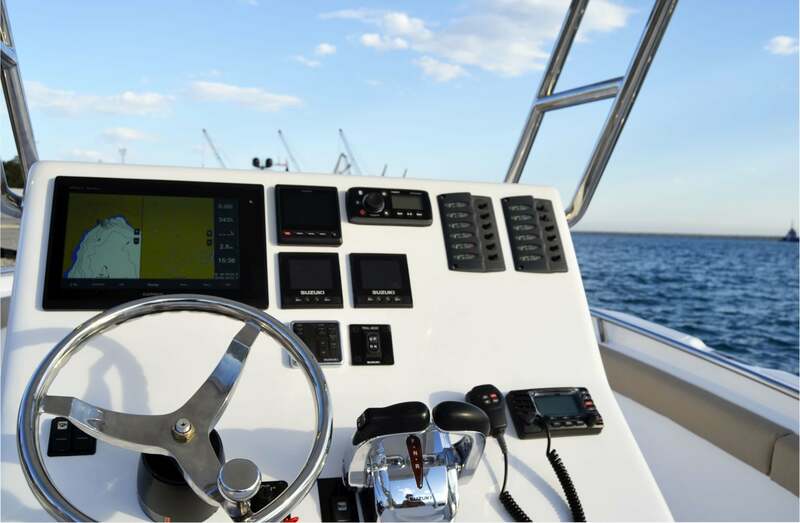 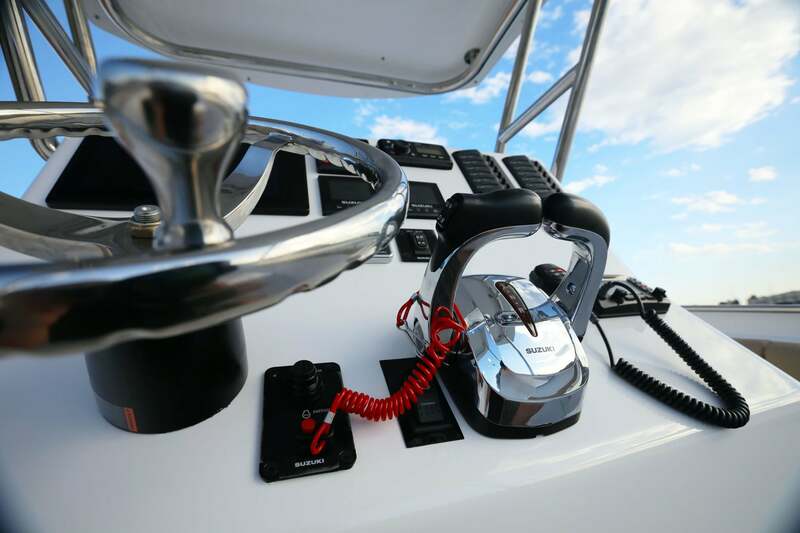 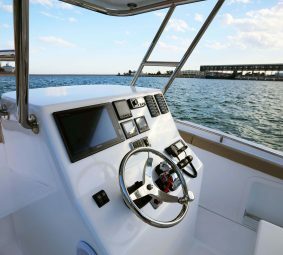 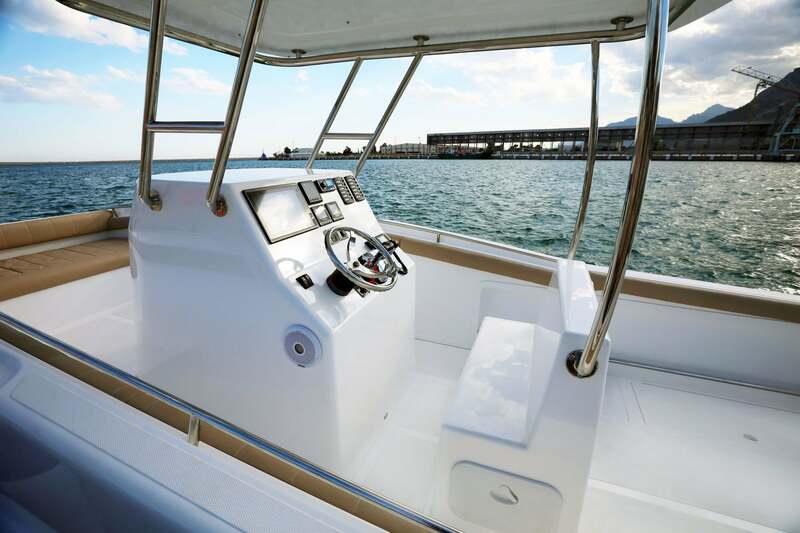 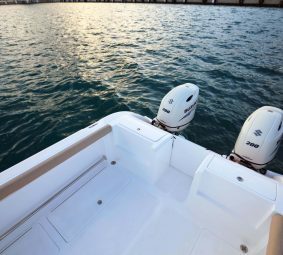 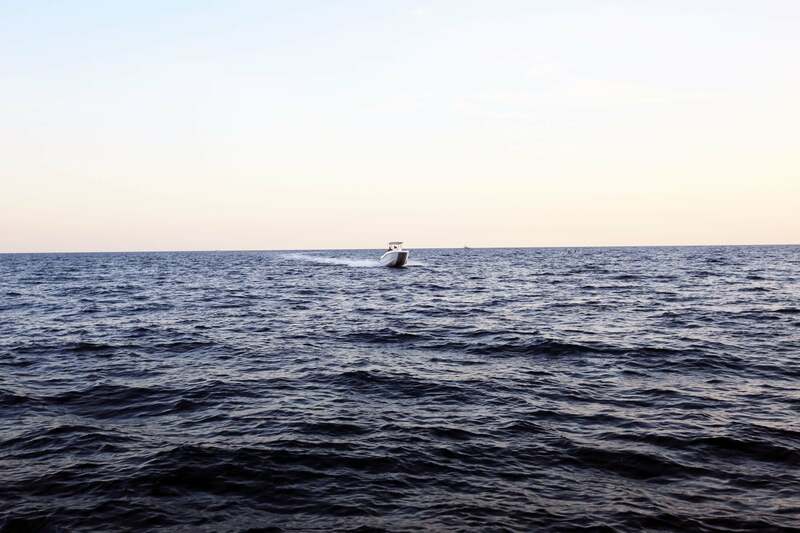 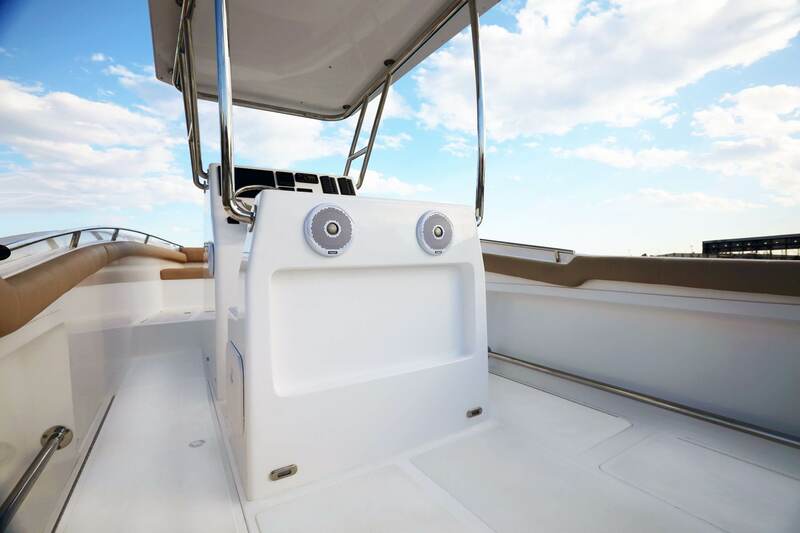 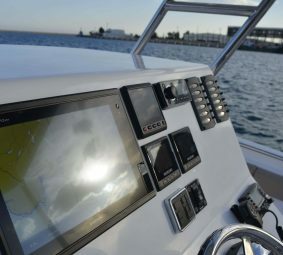 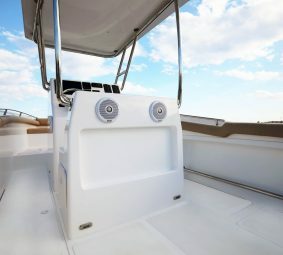 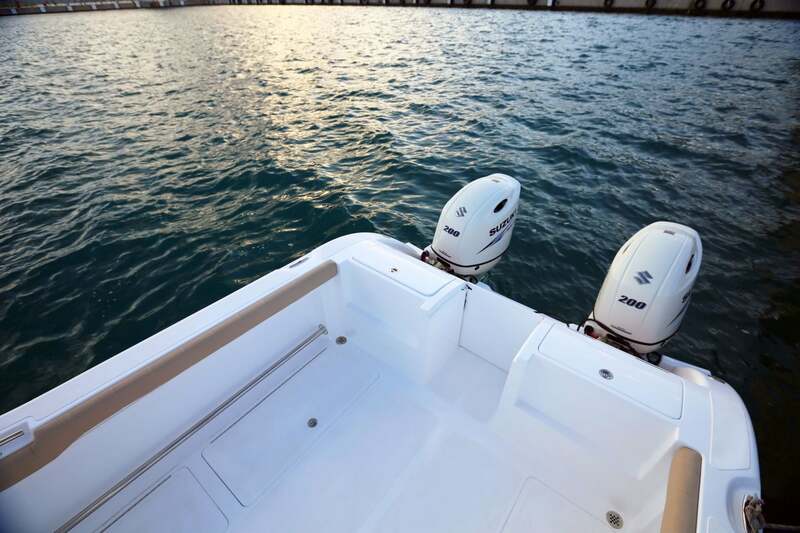 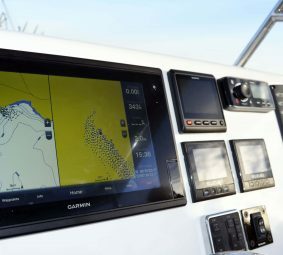 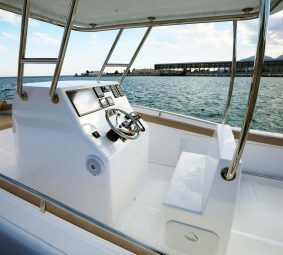 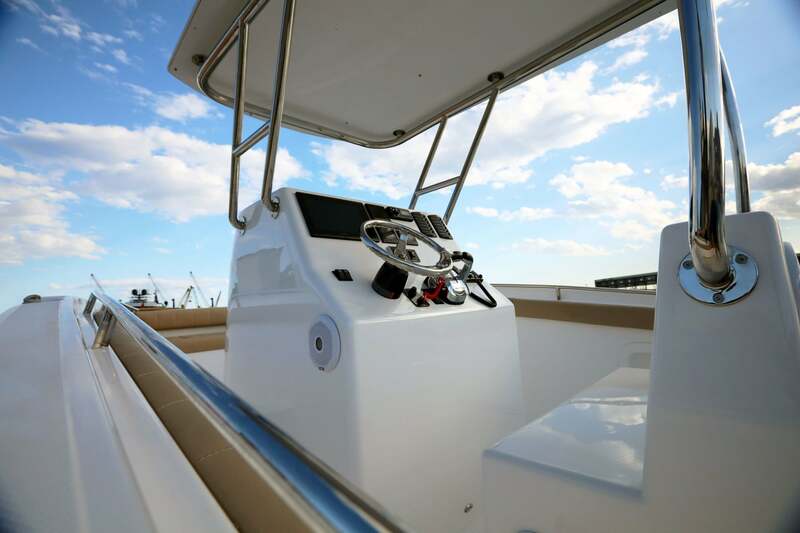 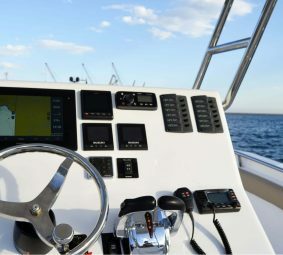 Tough, roomy, rugged yet comfortable, the Hysucat 25-foot Center Console offers plenty of storage and comfortable seating. 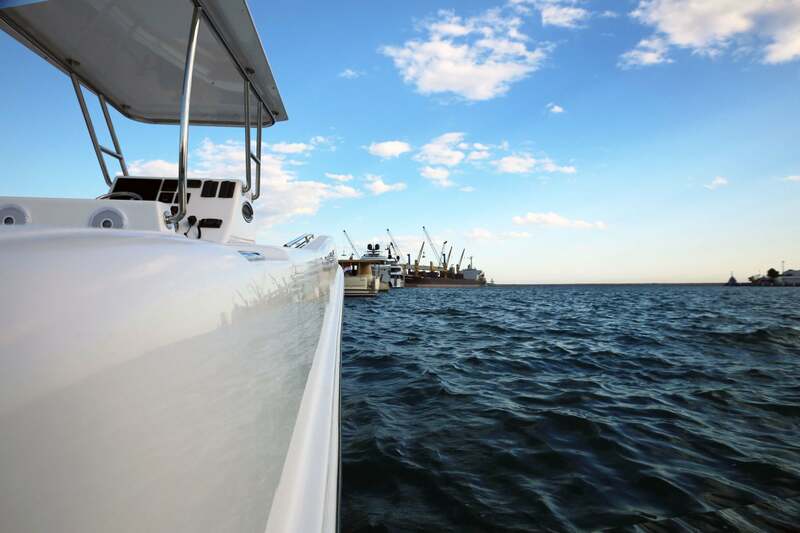 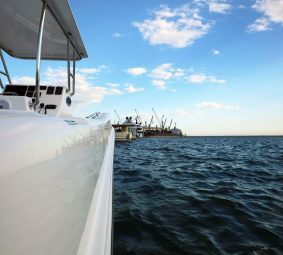 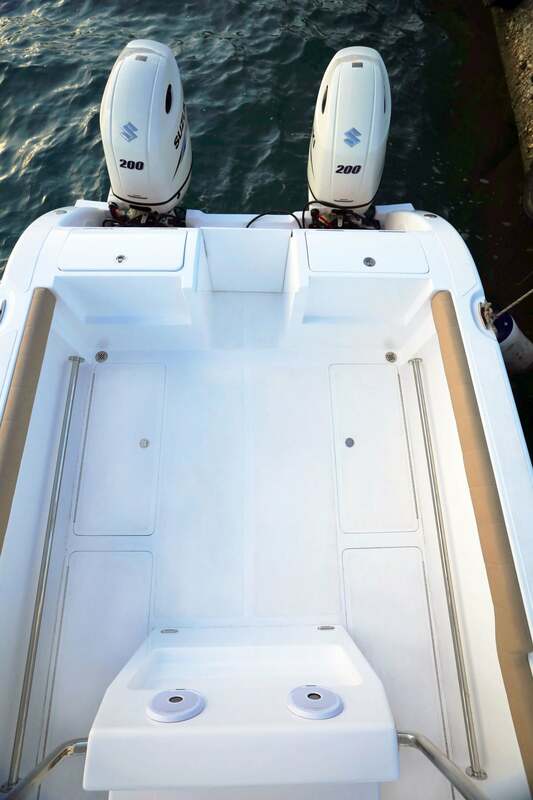 With a 200-gallon fish box capacity, 160 gallons of fuel and integrated deck seating, this 25-foot boat is a luxurious fishing machine. 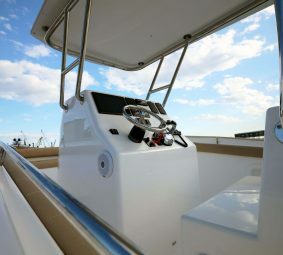 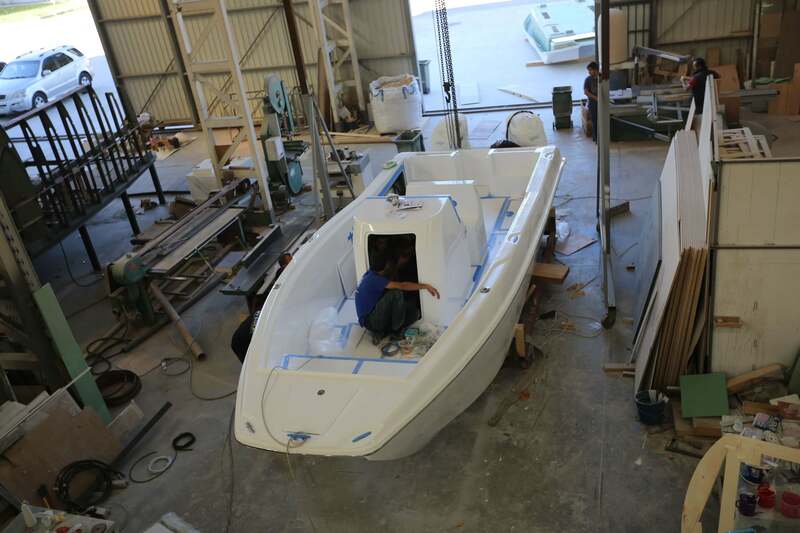 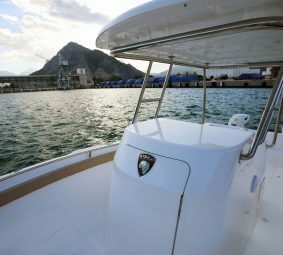 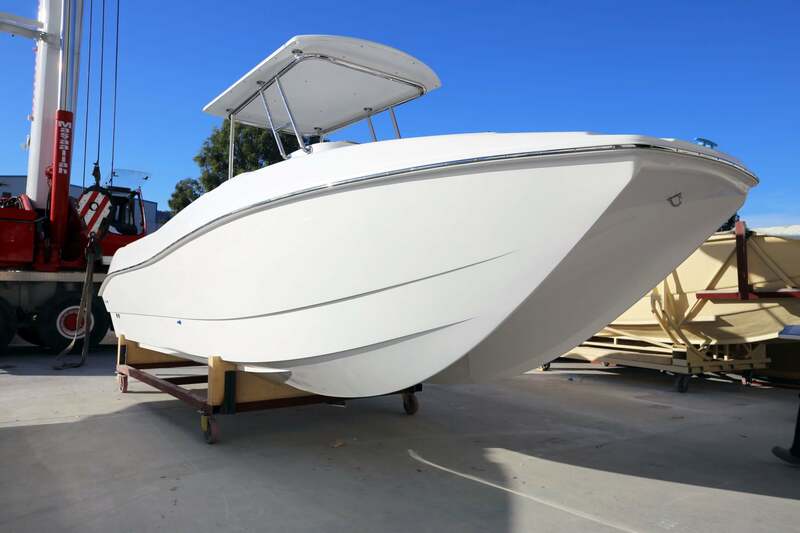 Inside you’ll find dual live wells, lockable rod storage and a console with room for a marine head. 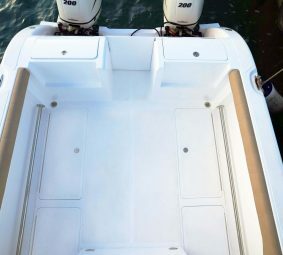 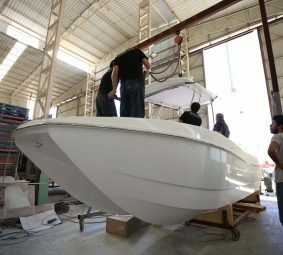 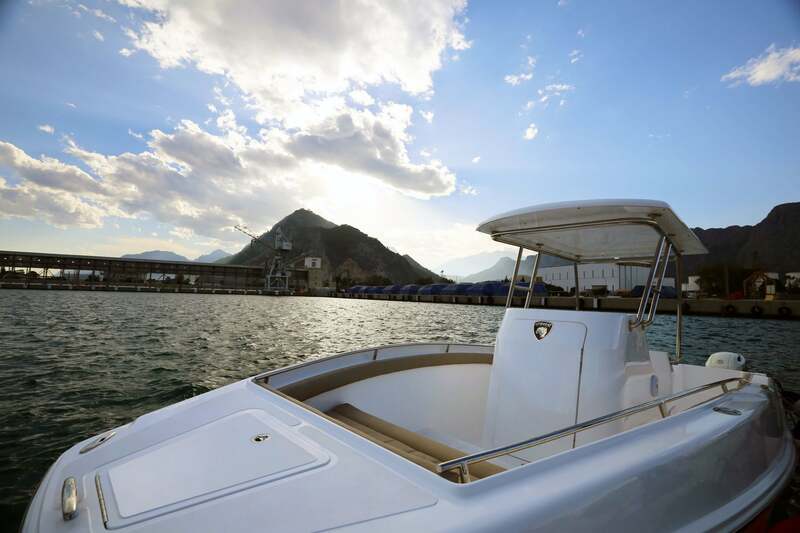 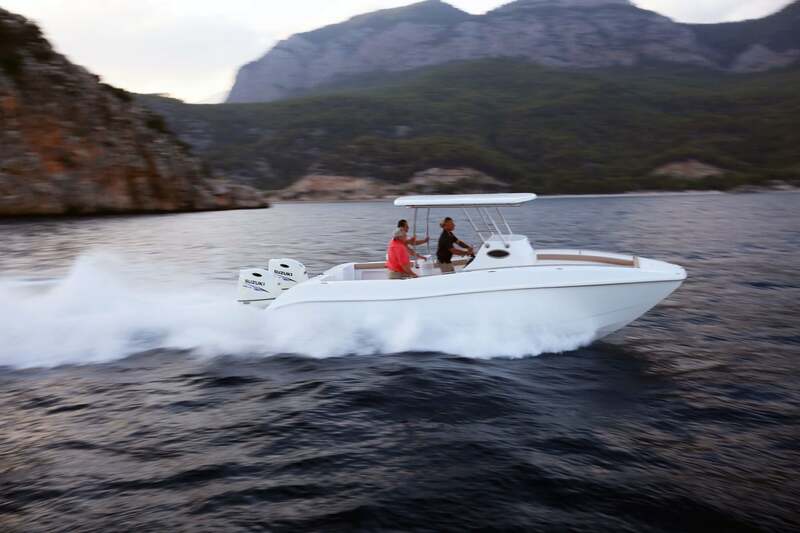 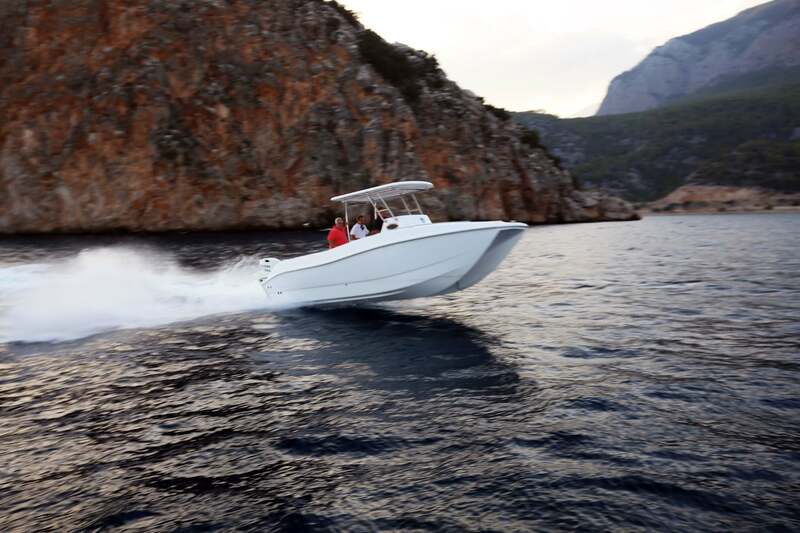 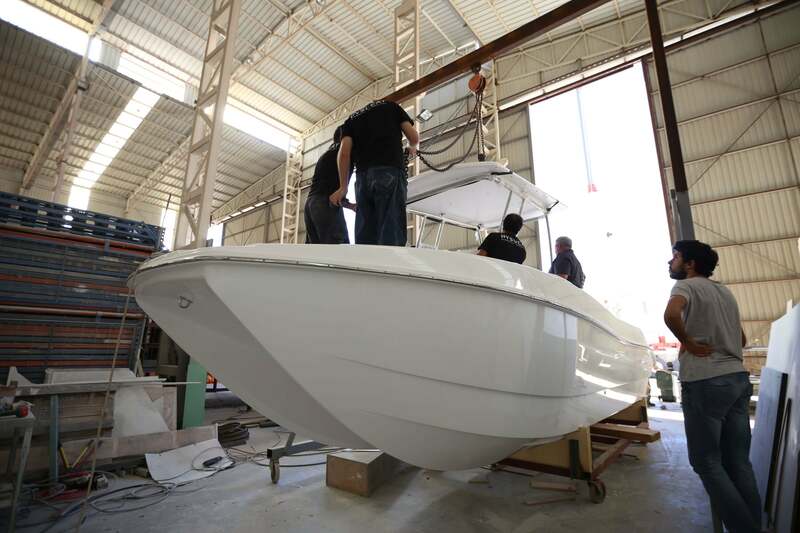 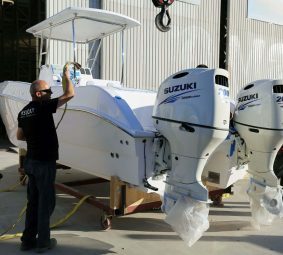 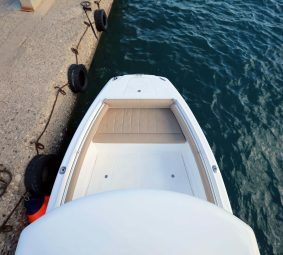 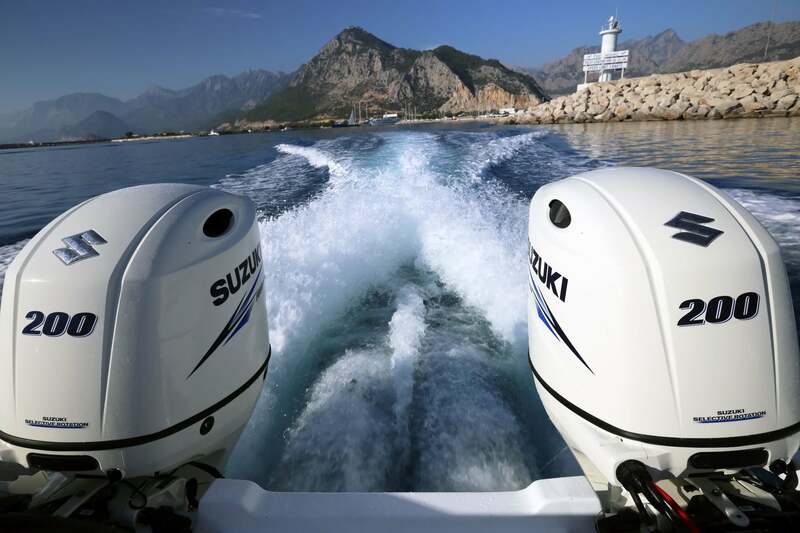 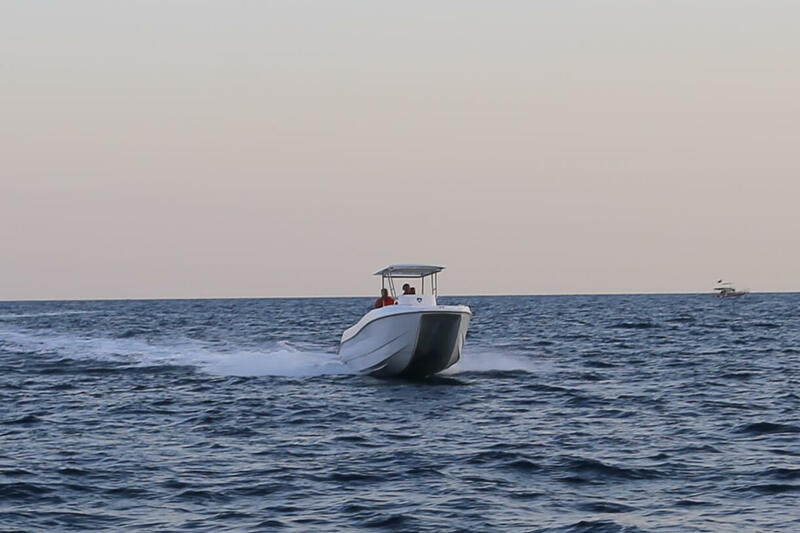 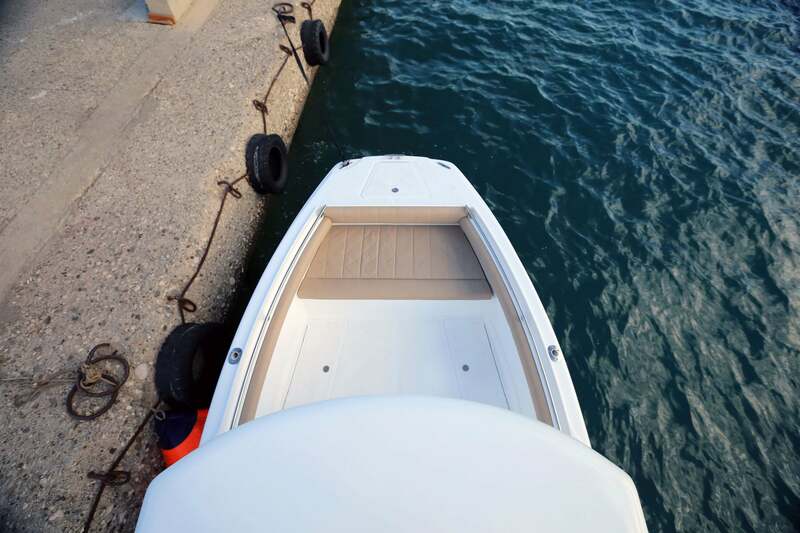 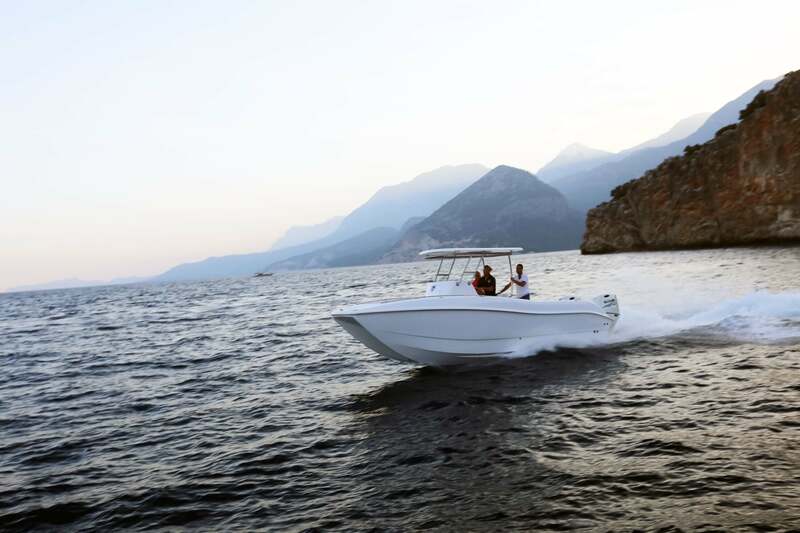 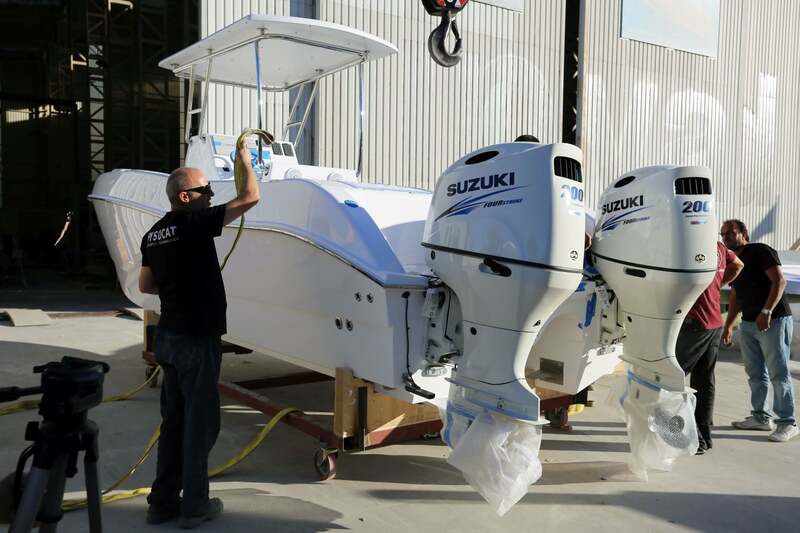 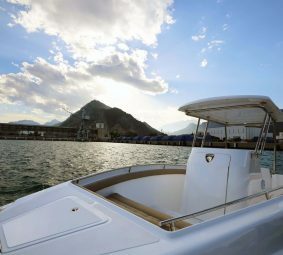 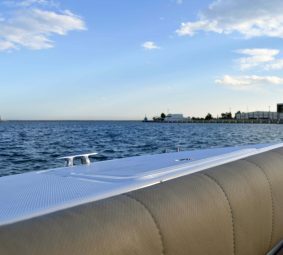 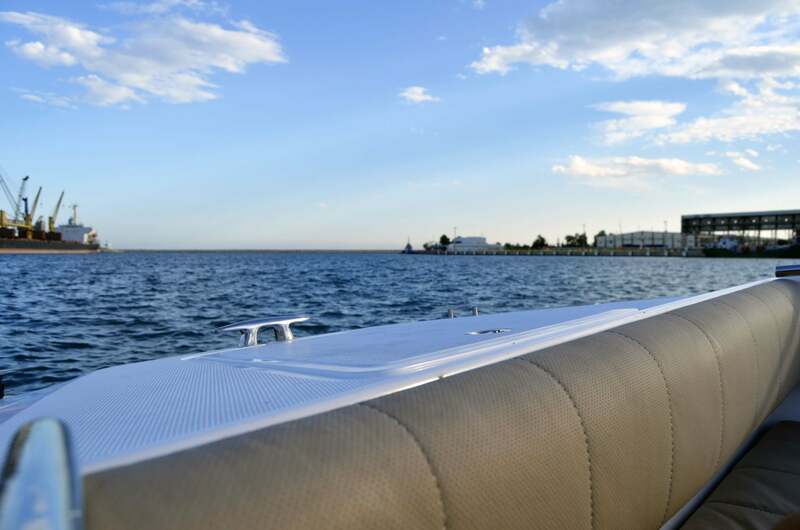 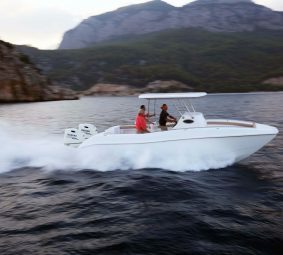 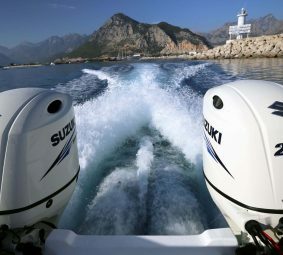 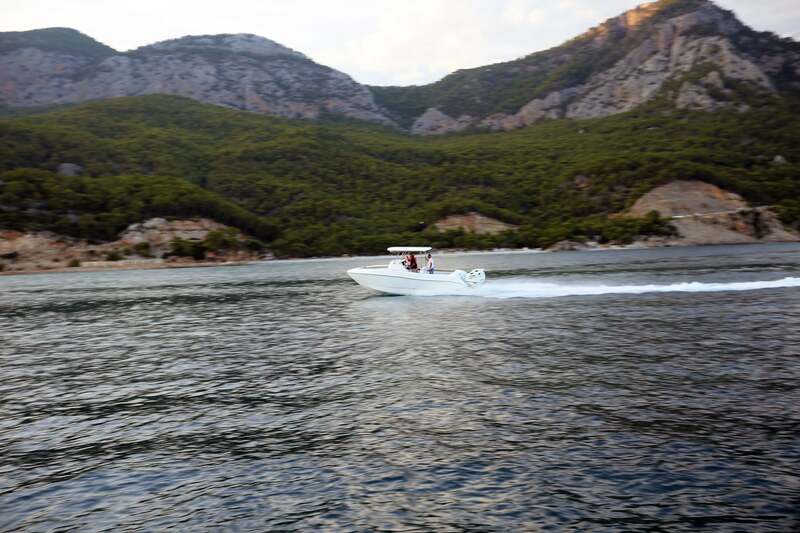 With a roomy 8-foot, 6-inch-wide beam, the boat can carry up to 10 passengers and has the capability to handle any bay chop. 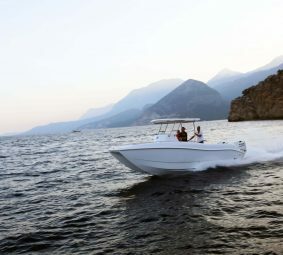 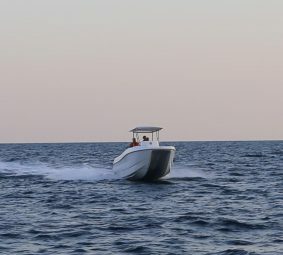 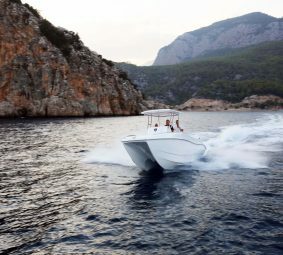 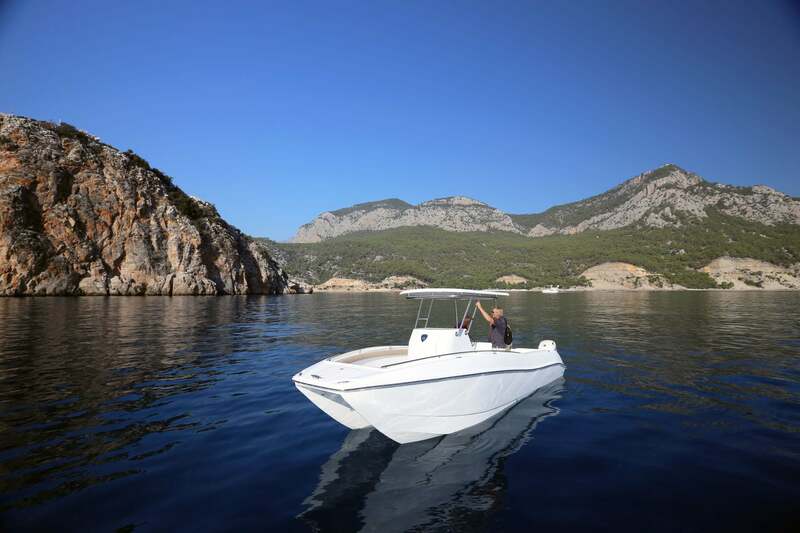 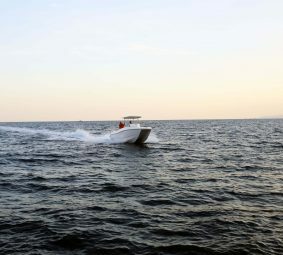 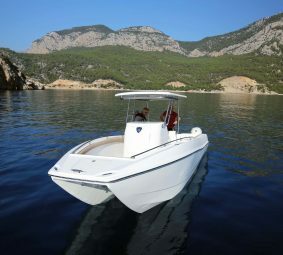 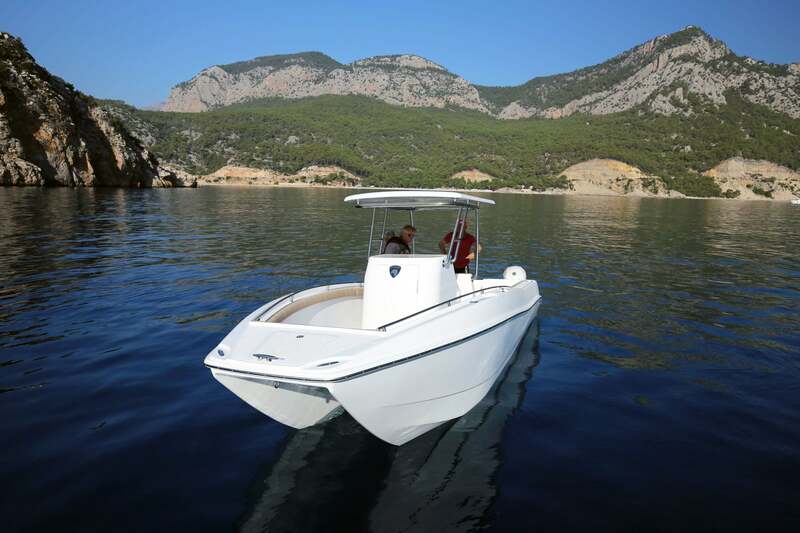 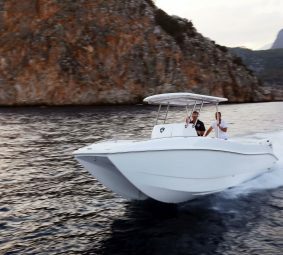 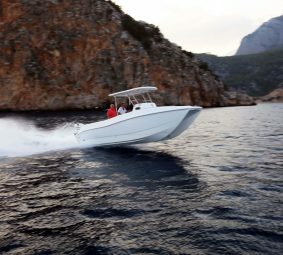 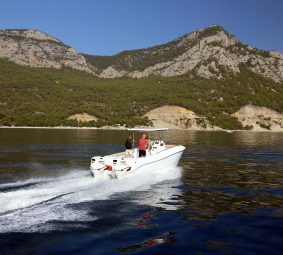 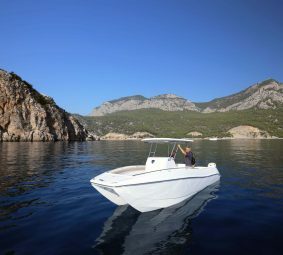 Though designed with fishing in mind, the Hysucat 25 CC is also fit for snorkeling and island hopping.